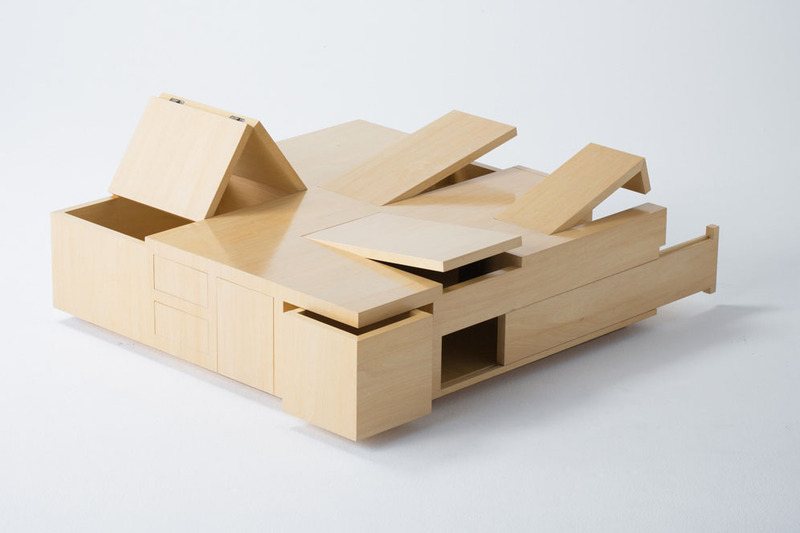 Kai Table created by Japanese designers Naoki Hirakoso and Takamitsu Kitahara has many secret drawers, panels and mini cupboards of various sizes built into the table. Bentley Motors auction lots offer some unique bespoke items for your home. 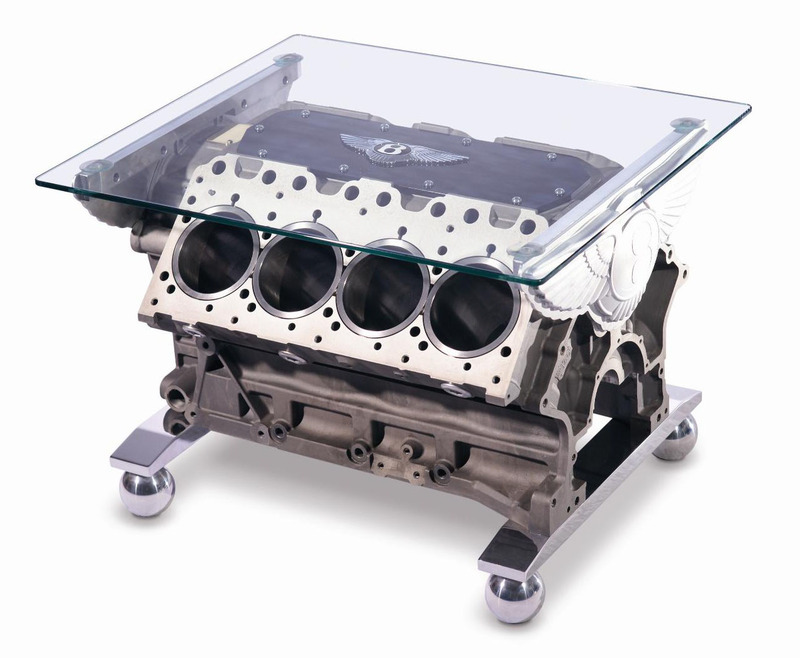 The Mulsanne V8 Table has a glass top and a Bentley V8 engine as the base. 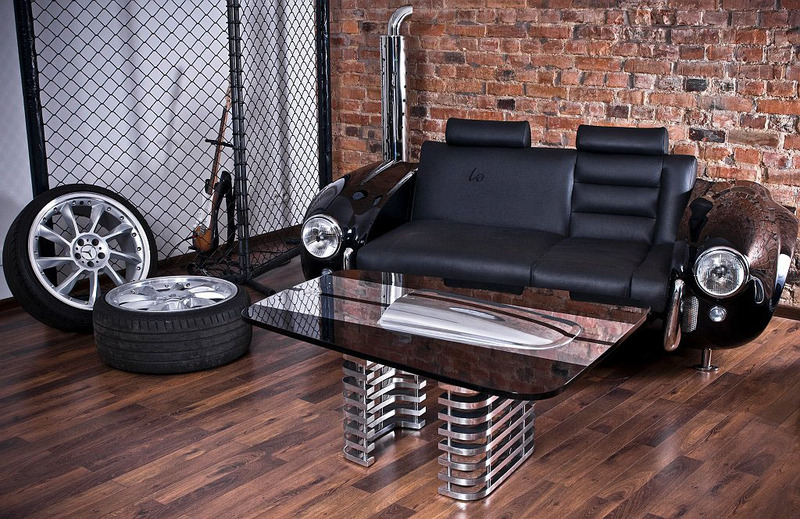 The Mulliner Wheel Coffee Table with a 20 inch chrome wheel makes for a chic coffee table. A redesigned 6 litre W12 engine provides storage for up to 12 bottles of wine. Make a statement with these elegant pieces of furniture! 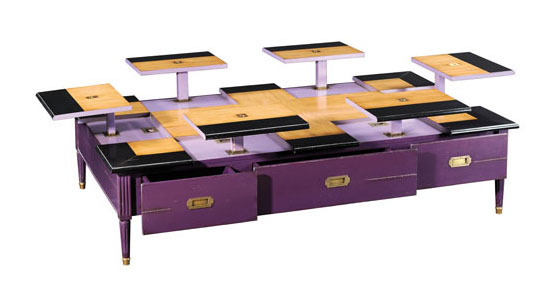 High-end French furniture company Grange has another collection of unique coffee tables that features built-in trays. The ‘Jacob’ coffee table is hand-built from cherry and lime wood. Adjustable trays are incorporated into the table. A heightened position allows users to work on their laptop or eat dinner while watching TV. French furniture maker Grange expresses an unique style that combines creative design and beautiful materials. 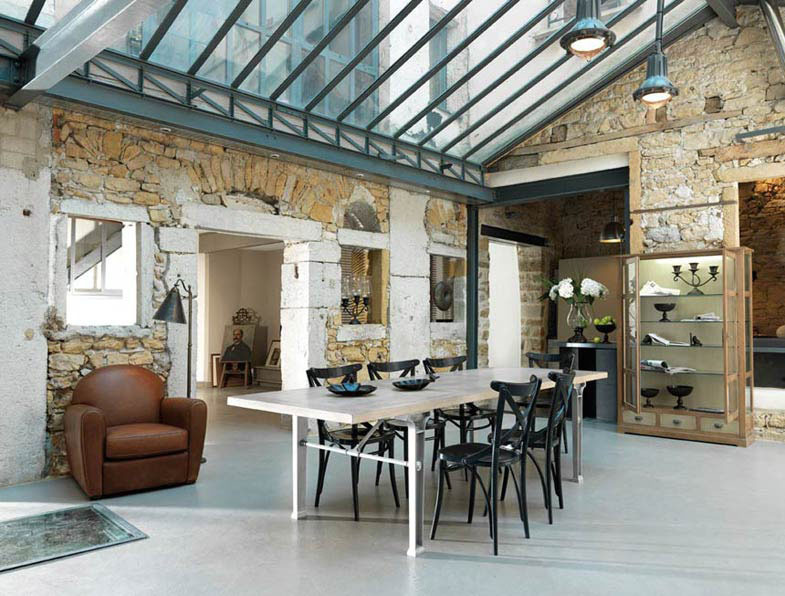 This collection of tables provides inspirational interiors with an ambiance that is part rustic and part industrial. This small apartment in Sydney, Australia has a layout that revolves around a custom pivoting glass table that swings 180 degrees. 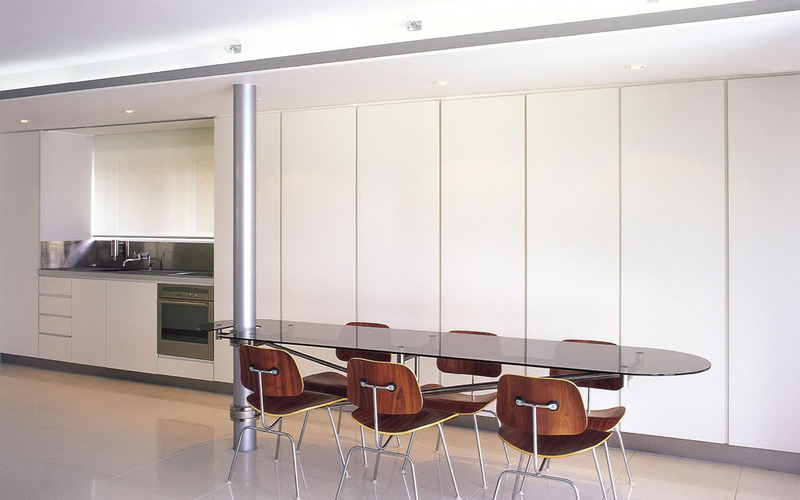 The table is attached to a structural column that enables the glass top to swing from the dinning area to the living room and to the kitchen. 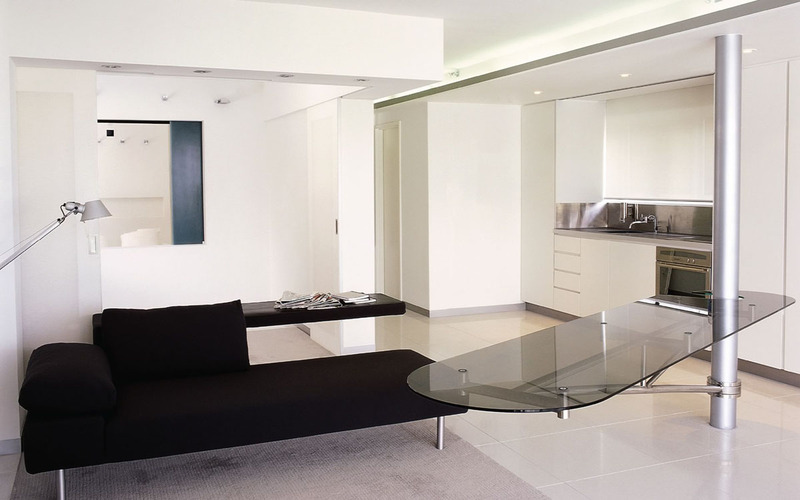 The all-white apartment interior was designed to let the views of Bondi Beach, the weather and the season set the tone. 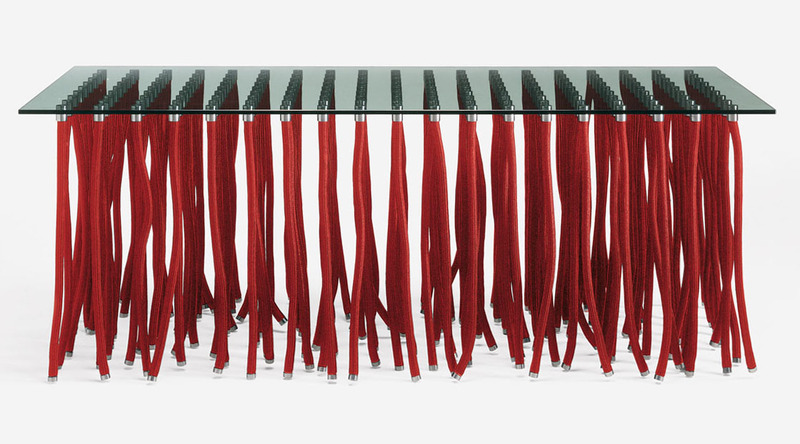 This unique collection of tables and consoles designed by Fabio Novembre for Cappellini uses rope legs to support the transparent glasstop. The flexible polypropylene rope legs have steel internal structure covered with red, white or black ropes. The top and bottom caps of each rope are made of satined stainless steel. Spirit of 427 is a collection of furniture built by LA Design Studio to pay tribute to Carroll Shelby’s classic racing car, the Cobra 427. 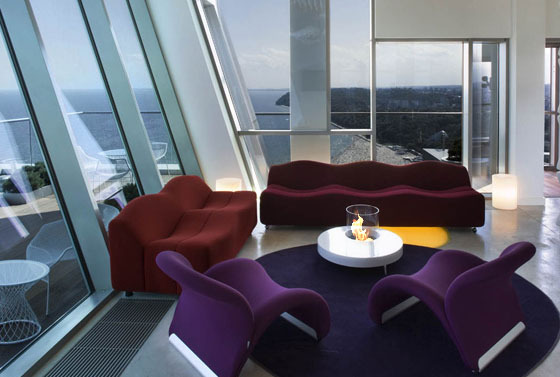 Pieces from the collection includes a sofa, an armchair, an office desk, a coffee table and a standing lamp. 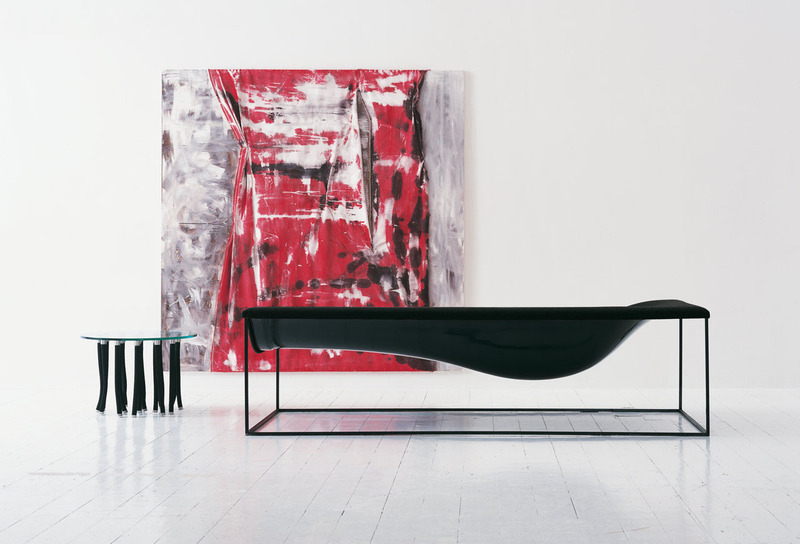 The sofa is inspired by the front of 427’s body. The armchair looks like the tail of 427. 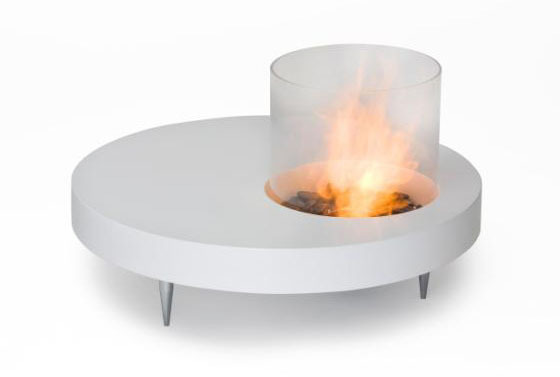 The coffee table is the projection of the hood with air intake. The office desk looks like a flatten hood, and the stainless steel lamp is inspired by the exhaust. 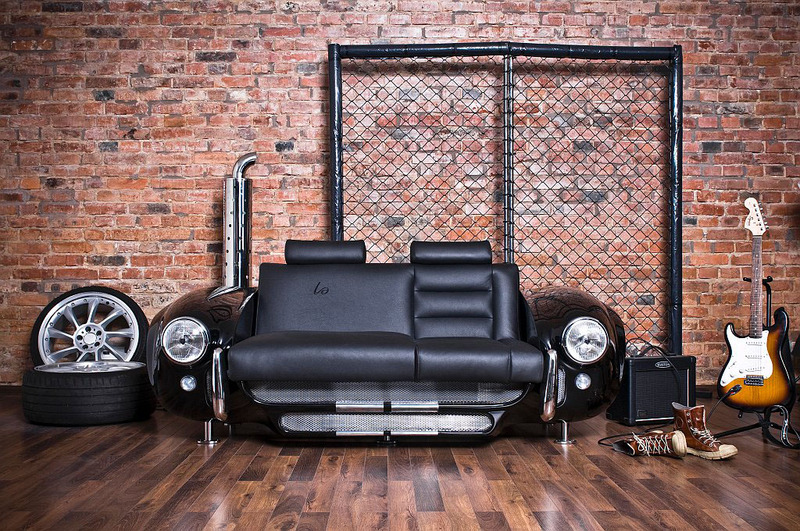 Vintage automobile lovers will be able to create unique interior design with this impressive collection of custom furnishings.